With a week in the new house under my belt, I am beginning to enjoy the fruits of all our work the past year. Every window (and there are many!) 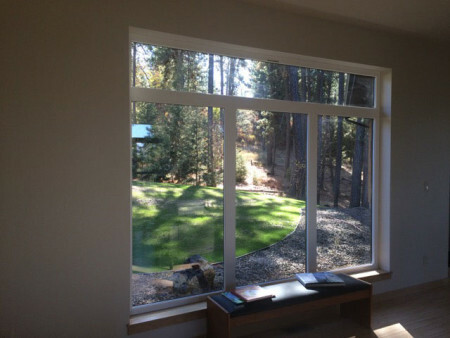 showcases why we chose this property to build on. The serenity of our surroundings will hopefully, in time, translate into more serenity in our lives. For now, there are still a lot of odds and ends to fill my days as I get this house up and running. But, I do have my studio. And, I began to use it to share my love of fabric with my granddaughter. 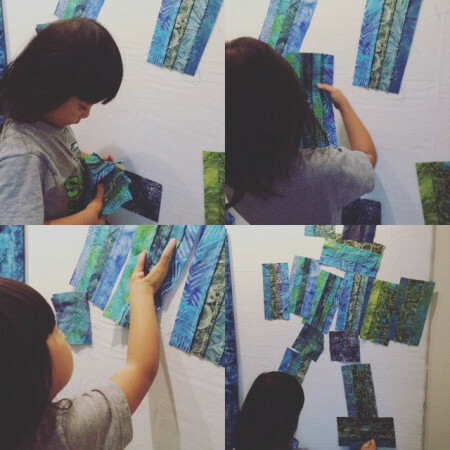 Here is a series of photos that I posted on Facebook earlier this week of my granddaughter playing on my design wall. In addition, I was able to take all those UFOs from earlier years that I mentioned last week and create a quilt top for one of our guest rooms. Next week will most certainly inspire me to return to more creative fiber work as I am heading to Houston. 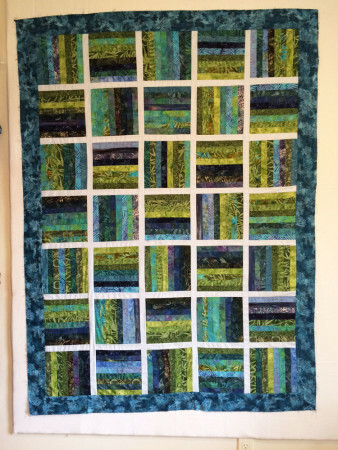 My art quilt, Imagine, was juried into Quilts: A World of Beauty and I am looking forward to seeing it on display at the show as well as taking in all the other wonderful quilts that will be on display. I hope to attend a few lectures and, of course, stroll through the vendor displays. Will let you about my adventures when I return the following week! Beautiful home! Great to see your granddaughter getting into the spirit of creativity! Have a fun and creative time at Festival. It’s so rewarding to see one of your own works in such a venue. Ah! You’ve moved in much earlier than first anticipated…a blessed time to ease into your new space. And congratulations on having that piece at Houston! it’s wonderful to see you enjoying your new home Judy. Wishing you so much happiness here.